You are here: Home » 2011 » Tommy Gannon R.I.P. Resposing at the Cillin Monday from 4pm -7pm. Funeral Mass on Tuesday at 12pm. 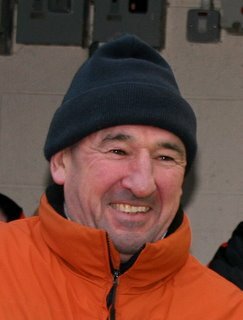 Last Saturday morning the people of the Barna Parish and the surrounding areas were deeply saddened to learn of the passing of club president Tommy Gannon. Tommy was one of the founding members of Barna GAA back in 1965, not alone was he a founding member but was part of the team that took to the field against John F Kennedy’s in Pearse Stadium back in 1965. From that day on Tommy was a corner stone of the club, his playing career with the club lasted right up to the late eighties. 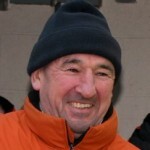 Whilst a player, he was also an integral part of the club’s administration committee. In latter years, Tommy was always on hand to advise the current committee when they sought his advice, whilst always encouraging new people to take positions within the club. He had a keen interest in how the club’s juvenile teams were progressing. Whenever the club hosted an open day, marched in the St Patrick’s Day parade or went on tour, he was always on hand to quietly give a few pound from his own pocket so that some refreshments were bought. Tommy didn’t wait around for any photos to be taken, all he wanted to do was to ensure that the children playing football were being well look after. After all the big seniors matchs, Tommy would always arrive into the dressing room to congratulate the team on their endeavors, it was a tradition. The humility of the man was evident when he completed his first term as club president, that he encouraged the club to share the privilege with another member of the club. Tommy was always very open minded and was interested in hearing of new and better ways of doing things, he would be the first to say “check it out”. As part of the 125th Anniversary of the GAA, Galway GAA took upon themselves to recognise the Unsung hero’s of each club in Galway. Each club was asked to send forward an individual who had given a lifetime service to their club. Within the club at the time it was a unanimous decision that Tommy would represent Barna GAA. Tommy was a keen golfer who enjoyed his game of golf every Saturday, particularly the craic that would be had with the Barna GAA Golf Society. Many people would have known of Tommy as a seller of the club lotto books, but he was much more than a seller, he was the club’s number one seller from the foundation of the lotto. He would never miss an opportunity to sell a ticket, always having a lotto book and pen to hand. No one could refuse his kind voice when he would say “did you get the tax this week”. The old Irish saying, “Ní Bheidh a Leithéid Arís Ann” is particularly true in the passing of Tommy. He will be dearly missed by us all in the club and the wider community. The Club would like to express its deepest sympathies with his wife Margaret, his son Jimmy, daughters Linda and Caroline and the extended Gannon family.